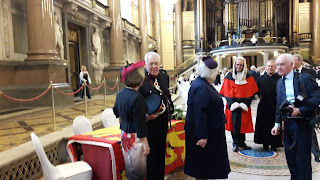 The Office of High Sheriff is an independent, non-political Royal appointment for a single year. The origins of the Office date back to Saxon times, when the 'Shire Reeve' was responsible to the King for the maintenance of law and order within the Shire, or County and for the collection and return of taxes due to the Crown. 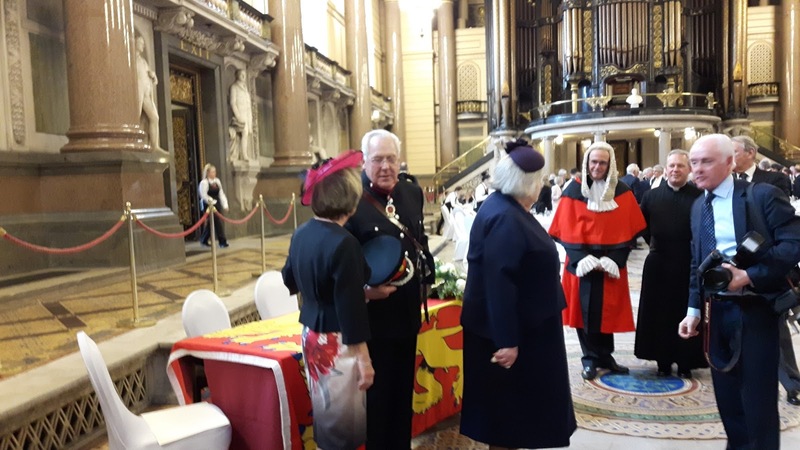 Last week Jim Davies stood down and a new High Sherriff was installed at a ceremony at St Georges Hall. Stephen Burrows Esq DL is the new person and his period of office began in April 2017 and lasts for one year. Jim was a popular High Sherriff and went about his tasks with great enthusiasm and gusto. 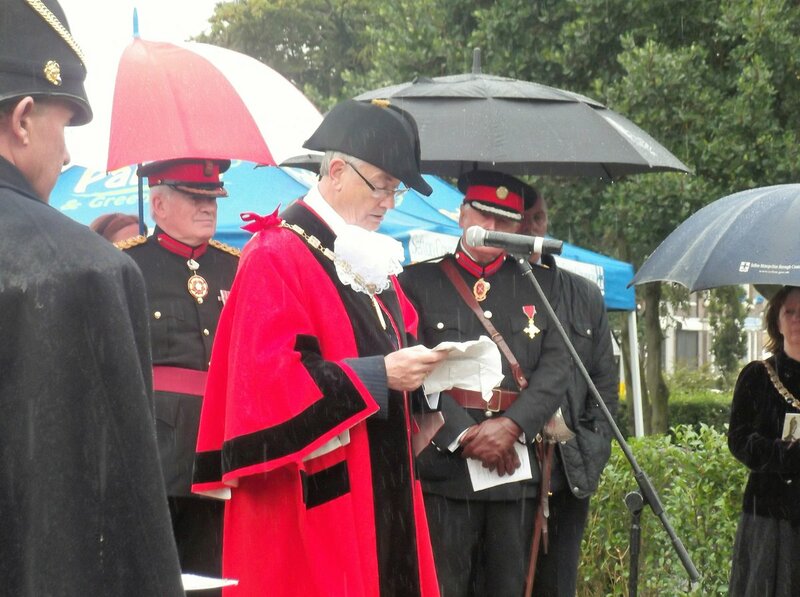 He has livened up many an event and stood alongside me at the rededication of the Bootle War Memorial in the pouring rain for nigh on a couple of hours. The ceremony- and the selection procedure- owe more to the concerns of times past than that the C21st. The bodkin is allegedly used as in times gone by a shrewd person may reasonably have wished to have avoided the job. Charles the 1, when starved of cash by parliament, resorted to collecting Ship-money that parliament did not have to authorise and it was the High Sherriff's job to do the collection. John Hampden was the chief opponent of this backdoor tax. By using a bodkin the monarch's choice could not be altered as may have happened if the pen had been used.